A fully programmable high powered colour mixing LED wash fixture. Featuring 24 high-intensity quad RGBW Cree LEDs programmable in blocks of six. 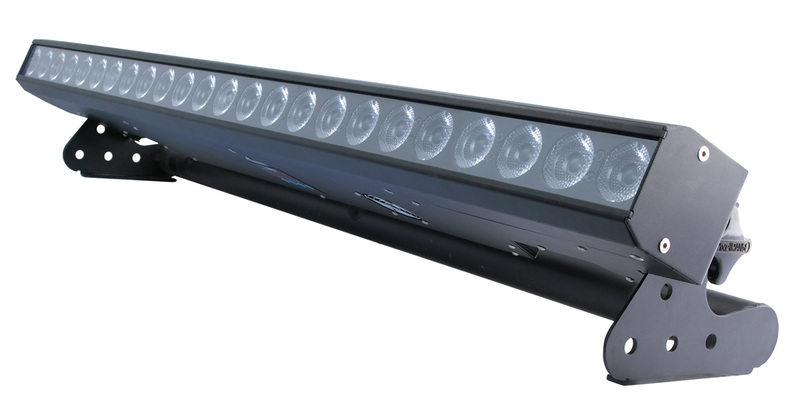 This 4ft long fixtures is only 50mm deep giving power in an aesthetically pleasing slimline profile and allowing the LEDs to maintain equal pitch when stacked.